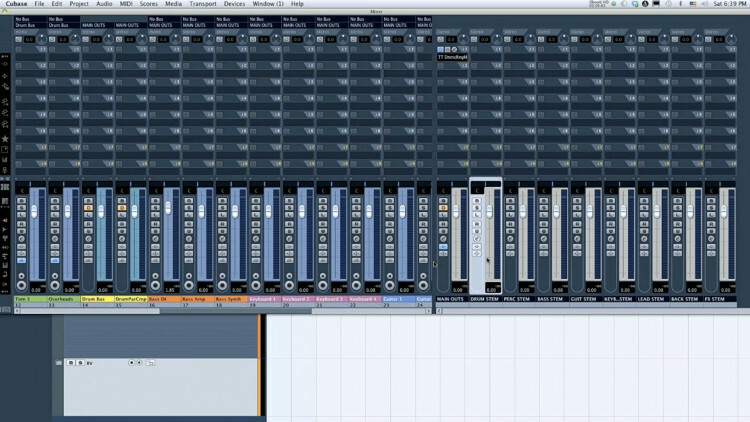 A Cubase session with an analog summing setup template is available in the attached zip file. This guy is clueless and only makes things harder. A FireFace 800 should let you sum 26 individual outputs. I do it all the time with Cubase. Merci Fab , pour le preset cubase cpr. Since I was not sure whether or not to subscribe and pay for your tutorials, I've looked at some of your free video's to see what to expect for the money. And I must say they are very well done.But, maybe you could lower the speed of your talking. You talk very fast (in a hurry) and often times it is very hard to understand what you are saying. Also, you might wan to lower the overall speed of explaining and commenting things, since at this speed, it is hard to follow, especially for less experienced people.Please keep in mind that you are making them for unexperienced people. Looking for the zip file to the template. What would be your setup for the same summing scenario, same Cubase session but with the Apollo UAD 2? @method1 Yes I do. I like to separate sessions for different purposes, if only because of routing. It's also a great automatic backup system. I can always go back to tracking sessions to find raw tracks when they get affected later in the game. Great, thanks for the explanation Fab. One more questions, would you typically have two seprate projects, one for tracking and one for mixing / summing? Thanks for the video, nice clear explanation. I have a question - since you're using the listen button on the print stem I'm guessing this setup isn't ideal for tracking, only mixing? Since engaging the listen button is going to incur latency, that's not ideal for a tracking situation.. Also as far as using outboard gear goes, would it be better to patch in inserts before hitting the summing device? I'd imagine using the cubase hardware i/o plugin on top of input monitoring with the listen button could cause some tricky latency too... or am I missing something basic here?